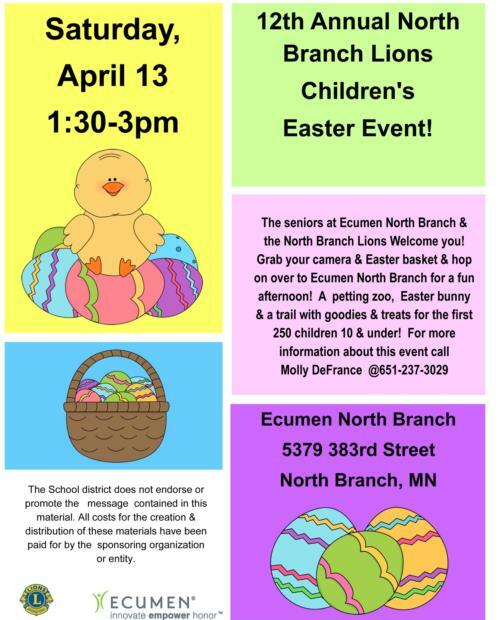 The seniors at Ecumen North Branch and the North Branch Lions invite you to join the celebration! Enjoy a petting zoo, Easter bunny, and a trail of treats for the first 250 children under 10 years old. Bring your Easter basket!